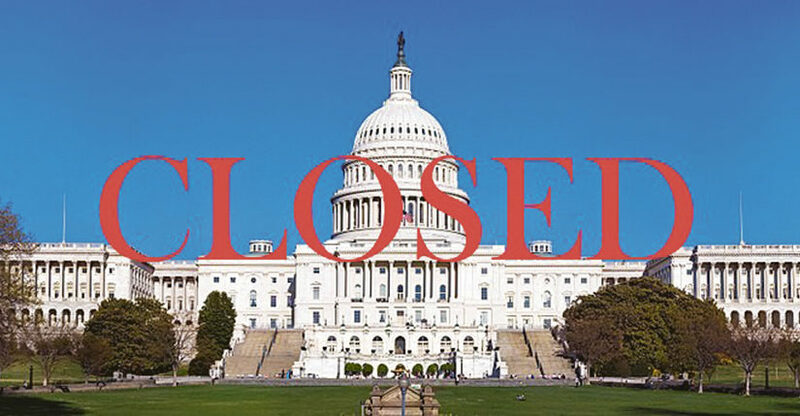 Politics in Congress brought the federal government to a three-day shutdown, starting last Friday at midnight after the Senate failed to pass a temporary spending measure. The weeks leading up to the shutdown were filled with tense negotiations between congressional Republicans and Democrats and President Trump, with hopes to work out issues including Deferred Action for Childhood Arrivals (DACA), immigration reform and Children’s Health Insurance Program (CHIP). In the final days before the shutdown, Senate Minority Leader Chuck Schumer (D-N.Y.) assured Senate Republicans and the president, that Democrats would not support any temporary spending measure without action that would offer protection for DACA recipients, or Dreamers, and an extension of CHIP, a popular program in American public opinion. In response, Senate Majority Leader Mitch McConnell (R-Ky.) and President Trump claimed that there would be a bipartisan effort if the measure were to be passed before the Friday deadline, attempting to shift the blame of any potential shutdown to the Senate Democrats. Sen. Schumer and President Trump reportedly came close to a deal Friday, however the bipartisan effort broke down after the president and his Chief of Staff John Kelly demanded further concessions on immigration. The House of Representatives successfully passed the temporary spending measure, which moved the measure to the Senate, where 60 votes were needed to end debate and pass the measure. However, the final tally came to 50 in favor and 49 against. The majority of Senate Democrats stood in solidarity, with the exception of five that voted to approve the measure, and were joined by four Senate Republicans against the measure that would have kept the government open until Feb. 8. Democrats countered, however, claiming the Republican party held majorities in both houses and had control over the presidency, but failed to compromise on a bipartisan measure. Congress continued to work throughout the weekend, attempting to negotiate and broker a deal that would reopen the federal government, until finally coming to an uneasy agreement midday on Monday. Senate Democrats buckled under pressure to adopt a short-term spending bill to fund government operations without first addressing the fate of young undocumented immigrants. They agreed to the promise of Senate Republicans and Sen. McConnell that there would be a genuine bipartisan effort on immigration reform and protections for DACA recipients. The measure quickly passed the House and was signed by President Trump Monday night, funding the federal government until Feb. 8 and providing a six-year extension for CHIP. The key part of the deal focused on the promise Sen. McConnell made to address immigration and DACA, but members of both parties say that President Trump is essential for negotiations to be productive and to eventually put forward a vote on legislation. The vote on the final measure in the Senate came to 81 in support and 18 — two Republicans, one independent and 15 Democrats — in opposition to the measure. The weekend of tense negotiations culminated in a vote after a bipartisan group of about 25 senators forced Senate leadership to put together a framework that would attract Democratic support in exchange for Sen. McConnell’s promise. However, many Democrats are wary of the promise given by Sen. McConnell in exchange for votes, worried that bipartisan action on immigration will not take place or, at the very least, be productive.